At Miss Universe one of the questions for our online videos was, if you were a food what would it be? I answered that I would be a banana because it is versatile, in Jamaica we eat it green and we also eat it ripe; I believe, like the banana, I have something for everyone. People probably doubted my belief in the versatility of the banana. Now whilst I was impressed with my on the spot answer, I really love the flexibility of this fruit. In addition to it being long, firm, curved and full of energy – get your mind out of the gutter! Lol – you can do something with it in all its stages. Although you can boil green banana to go with your main meals, use a ripe but firm banana in your smoothies or add them to your cereal, I am going to focus on the very ripe banana. 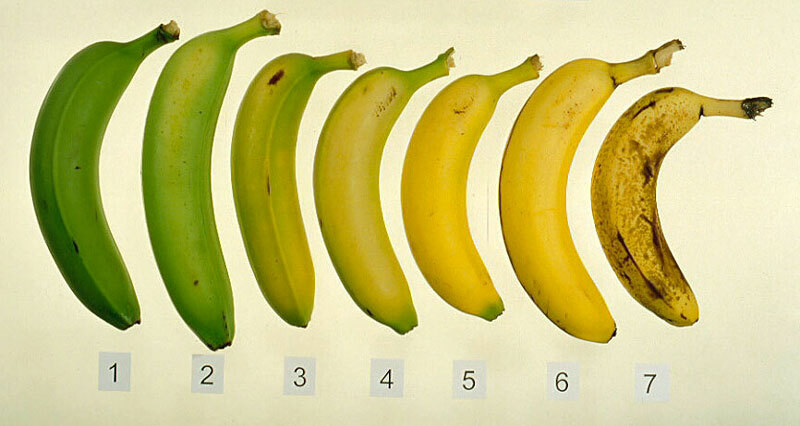 I mean those bananas so ripe the skins are all black and they’re starting to feel mushy. 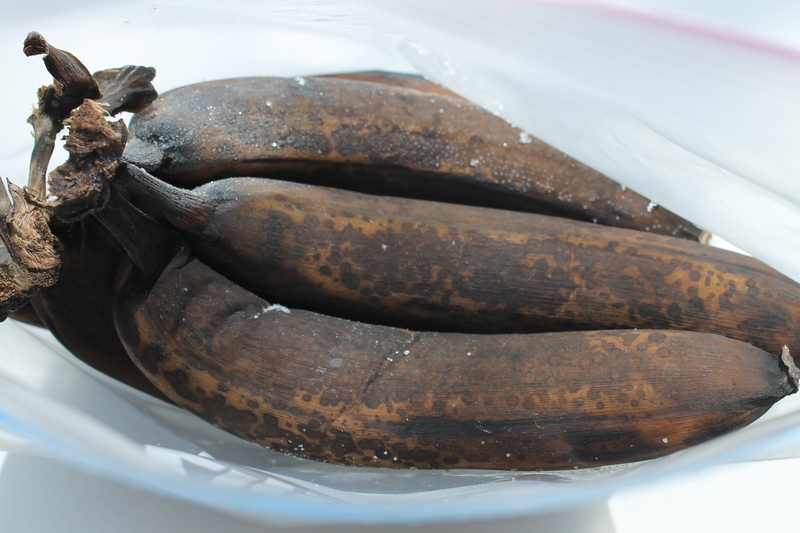 I can never finish all my fruit so when I see these black-skinned bananas, I smile, add them to my zip lock bag and freeze them until I’m feeling for something sweet. 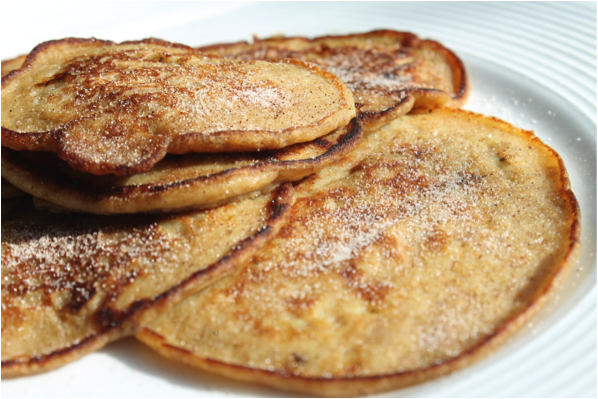 The great thing about the three recipes – Deluxe Banana Pancakes, Banana Bread and Banana Fritters – is that they use practically the same ingredients just in different proportions. Try one, or all, and let me know. Enjoy! Crush very ripe banana with a fork. Add all the ingredients for the pancakes and mix through thoroughly, whether with a fork or a whisk, until evenly mixed. Lightly grease a frying pan, with olive oil or spray, and add pancake mixture to the pan with a ladle, for each pan. Stir until dissolved and then add the rum and bananas. 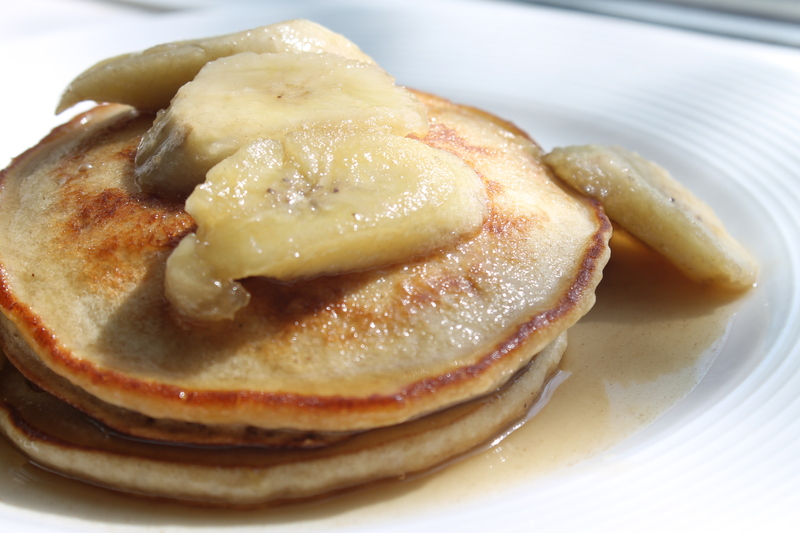 Plate the pancakes and drizzle with caramelised bananas. Crush very ripe bananas with a fork. Then add sugar, baking soda, baking powder, salt, cinnamon and last add flour. Spray oil on loaf pan and add mixture. 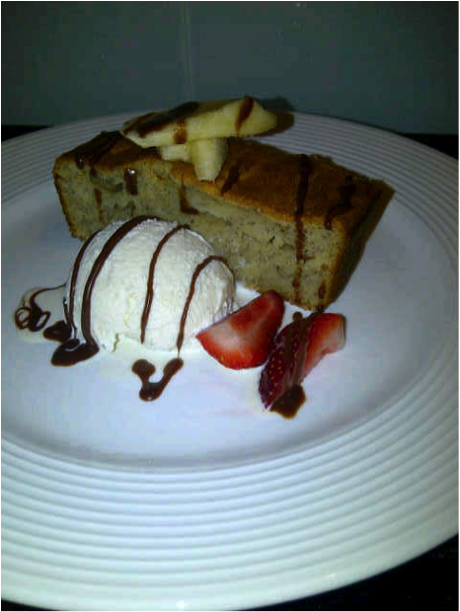 Crush bananas and combine with all the ingredients except flour and baking powder. Sift flour and baking powder into the mixture and mix evenly. Spoon mixture into greased pan over medium heat and cook on each side for 2-3 minutes. TIP: Serve at room temperature. Great snack!